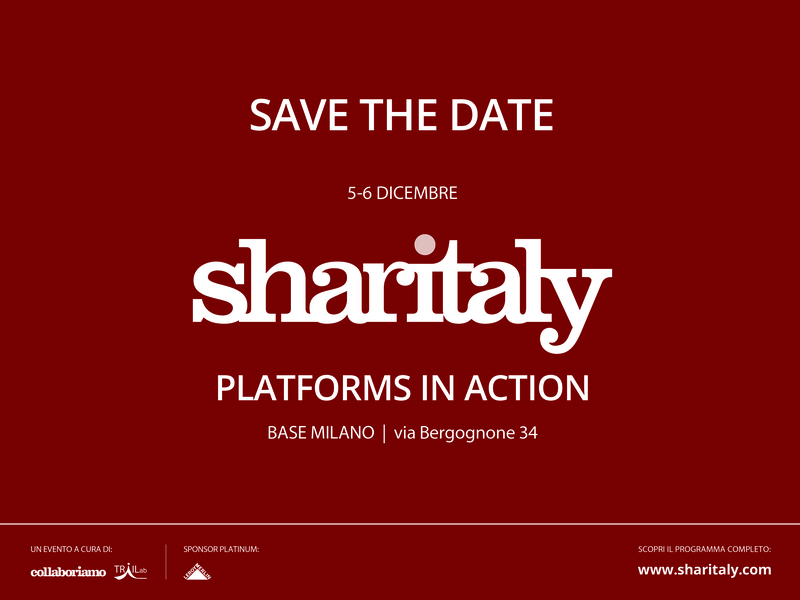 On December 5th and 6th, the fifth edition of Sharitaly, Platform in action, will be held in Milan, at BASE. 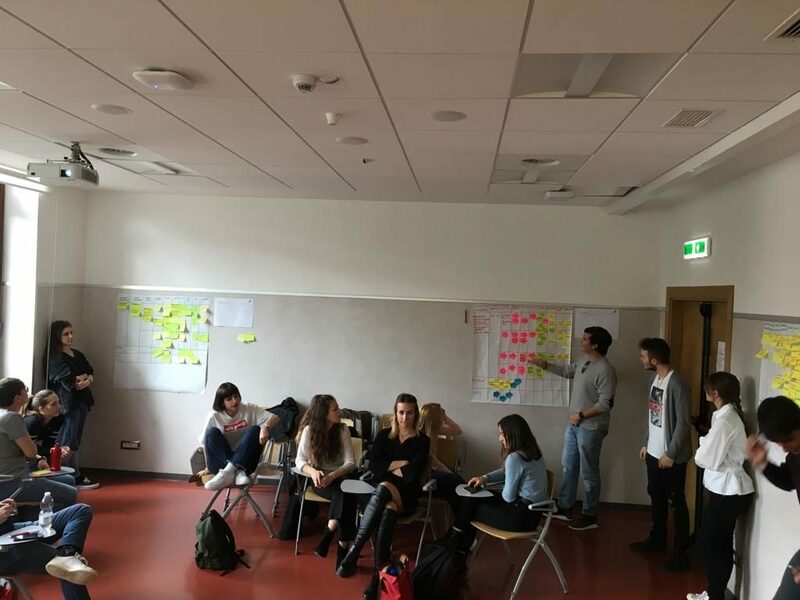 The event organized by Collaboriamo and Trailab is a chance for scholars, operators, designers, and observers to reflect, observe and share experiences, in order to understand how collaborative practices are changing. On December 5th, three high-level masterclass will be held at the morning, in order to deepen the techniques and knowledge of the platform model.  Prof. Christian Iaione and Elena de Nictolis will be speakers of the Panel “Algoritmo Bologna: il Rapporto CO-Bologna sui primi tre anni di sperimentazione della collaborazione civica a Bologna”, on December 6th, from 4.00 to 5.00 p.m.. Findings of the Co-Bologna program will be presented. The panel will introduce the theoretical and methodological framework of the process, describing the actions of the program and outputs produced. 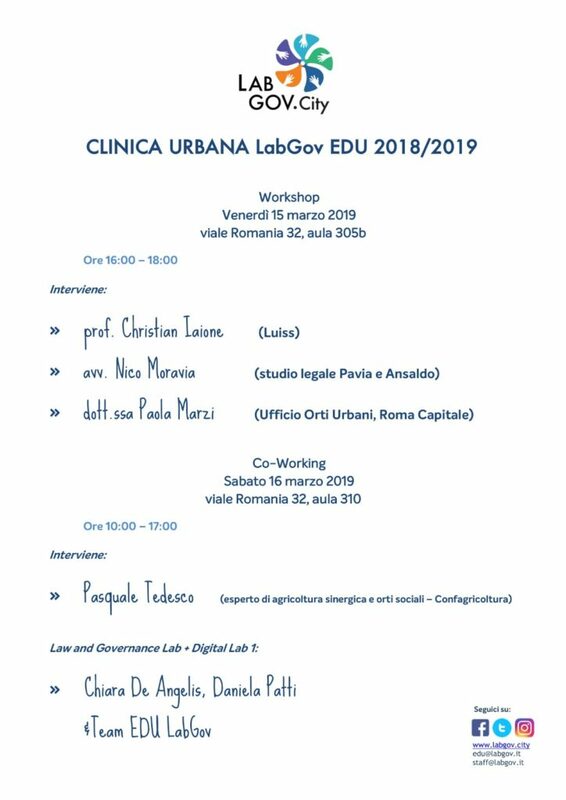 It will analyze the collaborative pacts approved by the Regulation on civic collaboration for the urban commons between 2014 and 2016, carried out by LabGov in collaboration with the TrailLab, and the policy innovations dealing with urban regeneration in the suburbs and the housing. 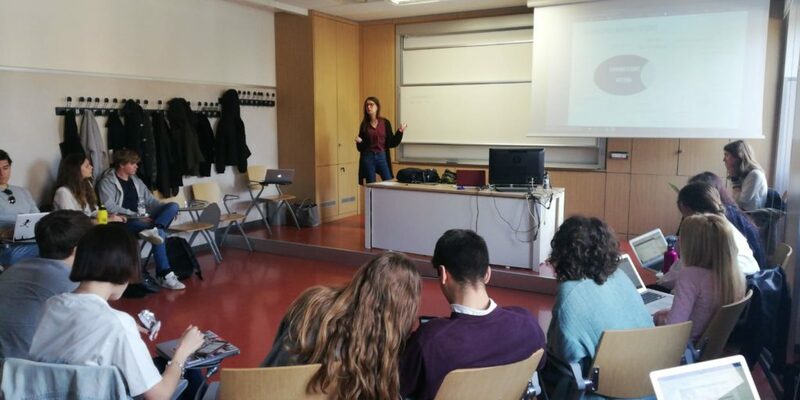 Il 5-6 Dicembre si terrà a Milano la V edizione di Sharitaly, Platform in action. 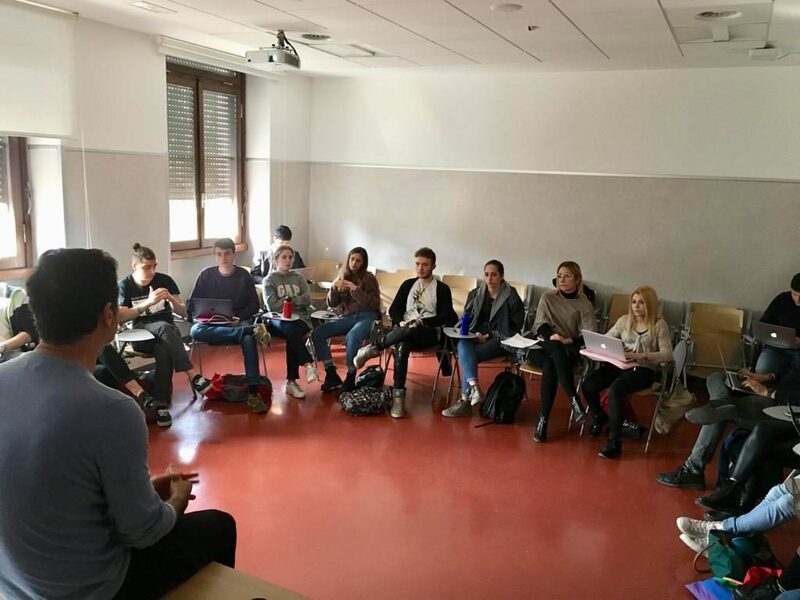 Il 6 Dicembre, dalle 16 alle 17, si terrà il Panel “Algoritmo Bologna: il Rapporto CO-Bologna sui primi tre anni di sperimentazione della collaborazione civica a Bologna”, a cura del Prof. Christian Iaione ed Elena de Nictolis. Can sustinable mobility systems support Vibrant Communities? Mobility represents a fundamental right, intimately tied to the quality of life in cities, hamlets and suburbs, occupying a large portion of the community’s land. In this regard, the increase expected by 2050 of over 66% (compared to 54% in 2014) of the world population that will reside in cities must be taken into account. Indeed, people living in urban areas spend a considerable amount of time on public transportation, as stated by a current, exentsive study, carried out by Ipsos and the Boston Consulting Group in ten of the major European Union countries, looking at transport infrastructure. there is a strong car dependence, which is the mean of transport mainly used. 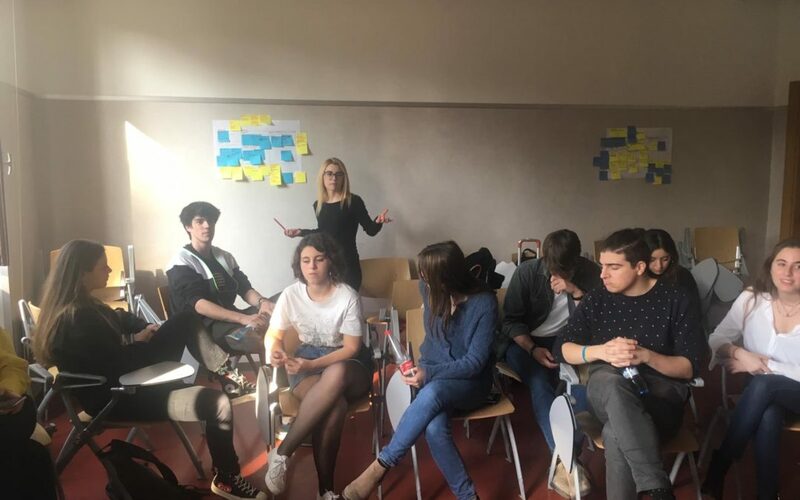 The European citizens seem to be, overall, quite satisfied of the single infrastructures of mobility as the railroads, the road net, the system of public transportation, but they are very dissatisfied instead of the level of interconnection existing among these infrastructures. Furthermore, currently transportation systems lack efficiency, facing up new – bottom up – needs required. Neverthless, transportation is often used to be centered on private vehicles. This choice, however, does not result very efficient: from a user’s perspective, it usually provides limited transportation options, but it also leads to severe congestion and considerable gas expenses, especially in densely populated urban areas, due to traffic jams, lack of parking space and high costs due to increasing fuel prices. These concerns, as can be seen, are too crucial to be ignored. 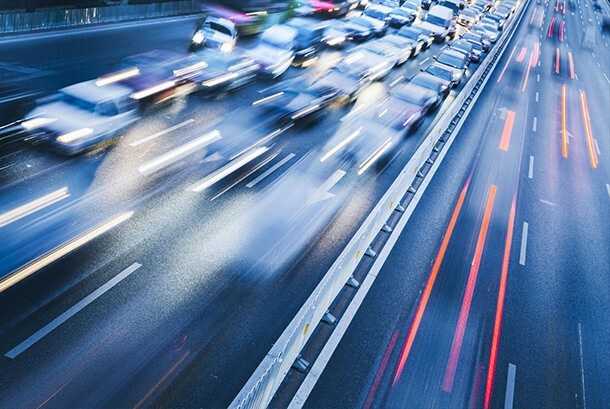 Improving roads could ease temporarily congestion levels; however, the study of the European Commission’s Joint Research Centre found no significant impacts on reducing congestion. In this regard, a truly sustainable mobility system should be necessary; it needs a virtuous circle, produced by investments in infrastructures more interconnected, in a way which provides local, regional and inter-regional accessibility at an affordable cost to families and businesses, while serving community needs for social and economic exchange. This goal, however, couldn’t be achieved without a change of approach (even methodological) by both public spheres and community, supported by the development of the new technologies as an important contribution to road safety too. Transportation, in conclusion, shouldn’t just be considered as a goal in and of itself, but as a wider powerful tool, useful for the development of livable, productive, equitable and healthy communities, in accordance with the new and more active role played by community. Transportation, as well as pollution, road congestion and many other concerns mentioned above, constitute issues not only related to the European framework, because they also affect the American landscape. In view of the above, many American and European initiatives can be mentioned, respectively encouraging projects among Departments of Transportation, Community Partnership Program and citizen awareness, even to ensure cities would remain a desirable place to live. The first illustrative initiative, above all, is the development of Smart Transportation. 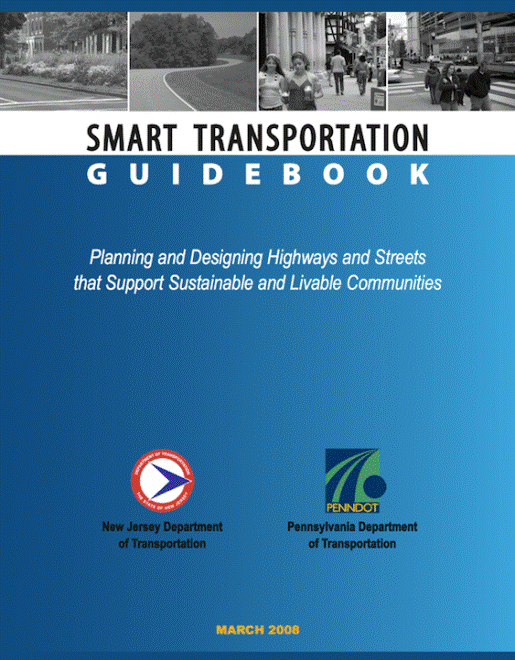 Namely, the Pennsylvania and New Jersey Departments of Transportation partnered in the development of the Smart Transportation Guidebook in 2008. It achieved to integrate the planning and design of streets and highways in order to foster the development of sustainable and livable communities. In this regard, the concept of Smart transportation was taken into account: it means incorporating both financial and environmental constraints, community needs and aspirations, land use, as a new approach to planning and designing roadways. Thus, transportation investments should be tailored to the specific needs of each project, while the adequate determination of solution’s design is measured case by case, pursuant to the whole financial, community, land use, transportation, and environmental context. Better transportation solutions, however, are considered as a result of a deeper process involving a multi-disciplinary team, considering a wide range of solutions, works closely with the community. Smart Transportation also encompasses network connectivity, and access and corridor management. It would help both states and communities to adapt to the new financial context of constrained resources. This initiative, however, sheds light upon the new role of DOTs, which have to support Vibrant Communities into the delivery of transportation projects. 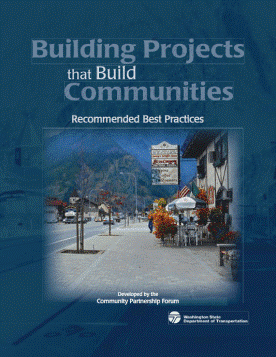 This goal was a key concept of the project Building Projects that build Communities, carried out by the Washington State Department of Transportation in 2003. Even if DOTs are faced with economic, health, environmental and social challenges, they can’t effectively support many communities’ programme, as active transportation, defined as humanpowered modes of transportation, involving walking and bicycling, but also skate boarding, canoeing, roller-skating. In these cases, DOTs’ responsibility is often restricted in many states to the state highway network, so their efforts to support active transportation is limited to the state network. Besides these initiatives, closely related to infrastructures, EU institutions aim at raising and fostering citizen awareness, through rewards, on the quality of the urban environment where people live, in order to promote a shift towards more sustainable and healthy mobility choices. In this regard, technologies have an essential role. MUV – Mobility Urban Values – is a Research and Innovation Action funded by the European Commission under the call Horizon2020 MG-4.5-2016. The solution will include a mobile app, which will track users’ daily routes and assign points for sustainable behaviours and a network of sensing stations designed by the makers’ community. Urban commuters, from a set of six different urban neighbourhoods, spread across Europe, will co-create and then test different game dynamics; finally, their achievements will be rewarded by a network of local businesses that will benefit from the advertising provided by the MUV platform. The methodology used reflects the Gamification, ICT and data science to translate people’s needs into new sustainable mobility solutions. Mobility and environmental data are gathered via the mobile app and the monitoring stations; they are all released as Open Data: data visualization can simplify complex information about urban mobility and support decision making; it will allow policymakers to enhance planning processes and civic hackers to build new services able to improve cities’ quality of life in a more effective way. the area of the Historic Centre in Palermo. This approach will allow to reach specific objectives, as understanding the neighborhoods’ peculiarities and emerging values to define an effective behavior change strategy. Co-designing site-specific solutions will foster better and more liveable urban environments, developing scalable digital solutions and technologies to improve globally the experience of urban mobility, integrating new co-created mobility solutions into urban policy-making and planning processes at neighborhood level. Raising awareness among citizens on the importance of sustainable and healthy mobility choices could be a successful approach to reduce private vehicular traffic and its negative externalities, encouraging local consumption. 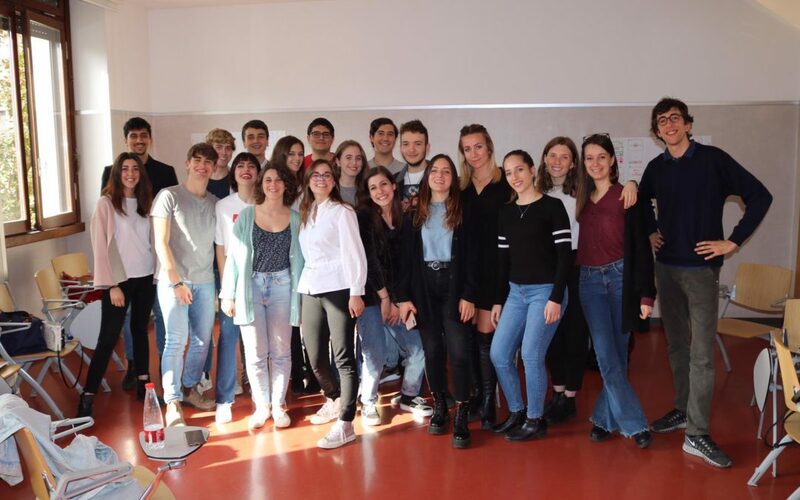 In this regard, MUV builds on the experience of trafficO2, an Italian research-action project co-funded in 2012 by a grant from the Italian Ministry of Education, University and Research and carried out by PUSH – MUV’s Project Coordinator – in the city of Palermo in the last three years. 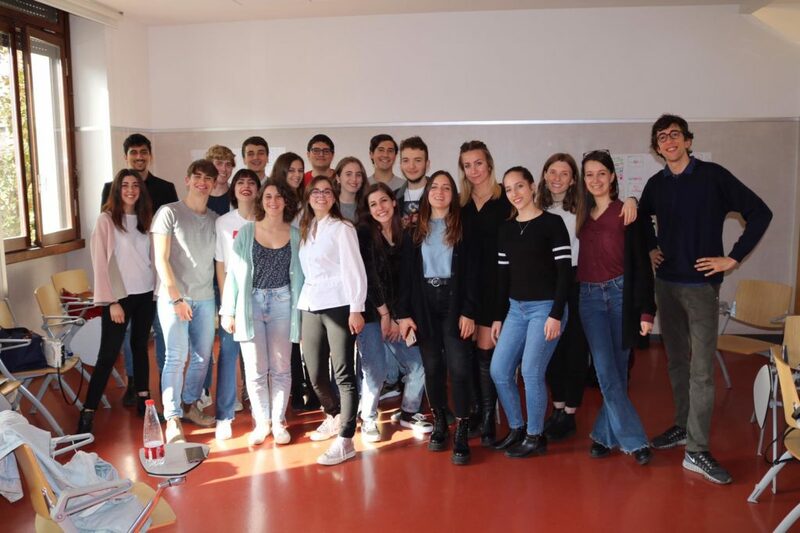 The experimentation involved 2.000 students of the University of Palermo and a network of 100 local businesses, and showed a reduction of the carbon emissions associated to the active users of more than 40%. Data and sharing mobility and environmental data to build an effective decision support system for multiple stakeholders, bringing the whole experiment to the market through an innovative business model in order to improve urban transportation in crowded neighborhoods and cities all over the world. This research embrace a model that socializes data and encourages new forms of cooperativism and democratic innovation, but it also raises the question of data ownership and sovereignty. La mobilità ricopre un ruolo fondamentale nella vita di ogni cittadino. La crescita demografica, l’inquinamento e la congestione, nonché la diffusione delle nuove tecnologie, inducono un ripensamento degli ordinari approcci in materia, ma soprattutto del rapporto tra il pubblico e i cittadini. Sahami Shirazi, Alireza & Kubitza, Thomas & Alt, Florian & Pfleging, Bastian & Schmidt, Albrecht, WEtransport: a context-based ride sharing platform. 425-426 (2010), doi 10.1145/1864431.1864469. C. Iaione, The tragedy of urban roads: Saving Cities from Choking, Calling on Citizens to Combat Climate Change, 37 Fordham Urb. L.J. 889 (2009). Zhang Z., Beibei L., A quasi experimental Estimate of the Impact of P2P Transportation Platforms on Urban Consumer Patterns, in Proceedings of KDD ’17, August 13-17, 2017, Halifax, NS, Canada, , 9 pages. DOI: 10.1145/3097983.3098058. A regulation for the Italian Home Restaurant: Ddl AC-3258, pros and cons. When talking about the sharing economy, its legislative dimension is always a burning issue. In this context, in recent times the regulation of the so-called home restaurant has been high on the agenda, especially in Italy. But what is it the home restaurant? As defined on the Home Restaurant website, “the Home Restaurant is the opportunity given to anyone who loves to stay in the kitchen to turn their house and their own kitchen in a restaurant occasionally open for friends, acquaintances and strangers (travelers especially) who will have the chance to experience the original kitchen of the places frequented regularly or during a trip.” In this way, private citizens can organize paid dinners in their house through an online platform. The trend started in 2006 with the guerrilla restaurants in New York, and then spread in 2009 in the UK. Thanks to social networks, the phenomenon has spread like wildfire, leading to the birth of the Supper Club of New York, the Cuban “particular houses” and the Home Restaurants, realities that show us how the kitchen passion can turn into a real business while respecting the law of each country. The Home Restaurant offers the added value of territory discovery, making it possible to experience typical recipes made with local products, and directly cooked at home by grandmothers, mothers, aunts, sisters and brothers who turn into chefs and offer opportunities to meet, exchange, swap ideas, and eat in the fullest respect of tradition. Faced with these new trends, traditional restaurants have been highly critical, considering the home restaurants as unfair competition. Instead, those who support the service believe there is nothing disloyal, and that home restaurants promote competition, the main engine of the business-initiative system on which liberal economies are based. Restaurants are public places: according to Italian law, this means that they are places open to the public, where business activities take place with the aim of providing services to the public itself. Anyone can access them freely and make use of the services provided. Homes are just homes, closed to the public, and since they are not public exercises, they are not subject to the same rules restaurants have to respect. To those who claim that home restaurants expose people to the risk of food poisoning, the supporters of the service reply underlying that FIPE data (Italian Federation of Public Concerns) show that the risk of poisoning in a restaurant is twice as much as the risk in a house, and in both cases the risk is minimal. In Italy, the heavy critiques and attacks to the formula of the home restaurant coming from the traditional services have brought to the definition of a specific bill (the Ddl. AC-3258) on the discipline of the restaurant business in private houses, presented at the Chamber of Deputies and approved with 326 votes in favor (and only 23 negative votes) on January 17th 2017. While the next step, the discussion and approval at the Senate, will take a long time, the bill is already triggering controversy and polemics. Approved also the quibble ratified in the article 5: “the home restaurant business cannot be exercised in residential real estate unities in which tourists’ accommodation activities in a non-business form or rental activities for periods of less than thirty days are exercised”; the article expresses the clear will to break the combo “social eating-Airbnb”. The bill has been met with different reactions: from one side the FIPE and the Fiepet Confesercenti called themselves satisfied, since, in their opinion, there is finally an almost complete law ending tax evasion; the law rapporteur, Angelo Senaldi (PD), defines the law “a necessary intervention that aims to regulate a sector, that of restaurants in private houses, which is developing exponentially in the wake of the broader law sharing economy. It aims to protect both operators and consumers and has been written respecting transparency at its maximum, since payments will be made electronically and then tracked through web platforms that combine the operators providing the catering service to the final customer. It is an innovative legislation, the first in Europe, which tends to boost the sharing economy in line with the European directive”. On the opposite side the home restaurant supporters, led by the founder of the web platform homerestaurant.com, Giambattista Scivoletto, have expressed a clear disappointment towards the bill, claiming that it discourages and slows down both those who are already in the sector and those who wish to enter it, and advantages only the restaurateurs’ lobbies. They consider its approach discriminatory, since it impedes the promotion through private channels such as social networks and favors bureaucratic slowness. Scivoletto criticizes both the registration requirement on dedicated platforms and the electronic payment, which in his opinion “will prevent 85% of likely openings”. Confedilizia, the associations of house owners, is of the same advice and interprets the bill as the “de profundis” of the home restaurant, since it imposes “limitations, prohibitions, restrictions towards a way by which some Italians try to work hard to improve their condition, helping to move an asphyxiated economy like ours”. Therefore, according to the home restaurant supporters, the Parliament has sought to safeguard the FIPE’s interests, often intolerant in terms of openness towards new models of business, even if the European Community had given clear guidelines on this regard. In June 2016, the Commissioner for the Internal Market, Elzbieta Bienkowska, had indeed reminded the State Members of the importance of enhancing and helping the sharing economy to grow, even launching a “European Agenda for the sharing economy” (available here). 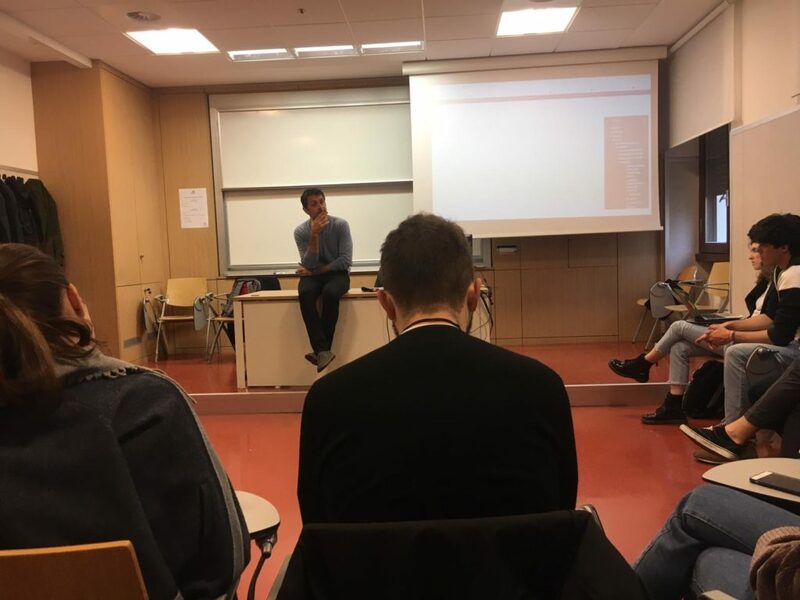 Among those who criticize the bill there is Cristiano Rigon, founder of the famous Italian social eating platform Gnammo (with more than 210 thousand users), who was indirectly called into the discussion by the text itself, as guarantor of the activity. He welcomes the fact that there will be a rule regulating the home restaurant business, as this will allow all aspiring chefs to experience the sharing economy without fear of going against the law. Nevertheless, in his opinion, proposing such stringent limits demonstrates that the real nature of the home restaurant has not been understood, since it is not related to the classical restaurant experience and it does not represent a rival but a development for the sector. According to Rigon, it would have been more appropriate to start regulating the entire framework of the sharing economy and only after that looking at more specific sectors. He also criticizes the limit imposed of 5 thousand euros, a peak that goes against the EU dictates suggesting not to put limits to this kind of business models. The same reasoning brings to criticize the prohibition to be a home restaurant if already joining the Airbnb platform. Therefore, while Rigon has distanced himself from those rejecting the full text, he stresses the importance of not blocking the growth of this kind of activities and hopes the Senate will be able to make the legislation simpler. Now it is up to the Senate, and the hope is that innovation will not be hindered in the process. Il 17 gennaio 2017 la Camera ha approvato il disegno di legge sugli Home Restaurant. Dopo molte critiche e polemiche soprattutto da parte dei ristoratori tradizionali, il vuoto normativo in cui si trovava questo tipo di servizio è stato riempito con la proposta del Ddl AC-3258. Tuttavia la legge non trova tutti concordi. Se per alcuni è stata finalmente normata un’attività che rischiava di alimentare l’evasione fiscale e lo si è fatto nel rispetto delle indicazioni europee; per altri invece le direttive europee non sono state propriamente seguite e la proposta corre il rischio di penalizzare duramente l’Home Restaurant a favore delle lobby dei ristoratori. Ora la parola passa al Senato che valuterà il ddl e stabilirà se snellirlo o meno. The guerrilla restaurants, born as a protest of some chefs dismissed from great restaurants in London and New York, decided to serve great food at the cost of production. They are unconventional and anti-crisis places that at the beginning took advantage of the simultaneous presence on the square of many unemployed great chefs. A supper club is a traditional dining establishment that also functions as a social club.